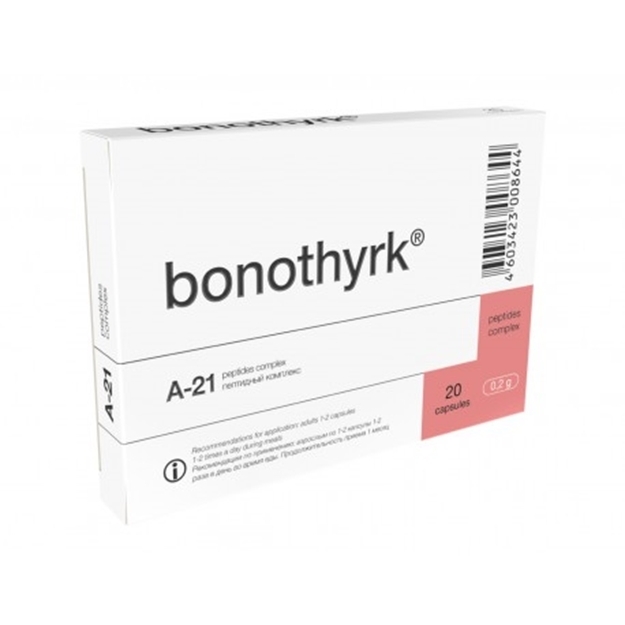 Bonotirk® – is a peptidecomplex isolated from the parathyroid glands of young animals. Isolated peptides act selectively on the functional activity of the parathyroid glands cells, normalize their metabolism. Clinical studies revealed the efficiency of Bonotirk ® in the complex treatment of the osteoporosis, as well as in aging to support locomotor system function. Bonotirk ® is recommended to be taken with meals, 1-2 capsules 1-2 times a day for 30 days. A repeated course is advisable in 4-6 months.